It's that time of year you guys; we're not far out from the start of the school year and some organization and preparation needs to be done. 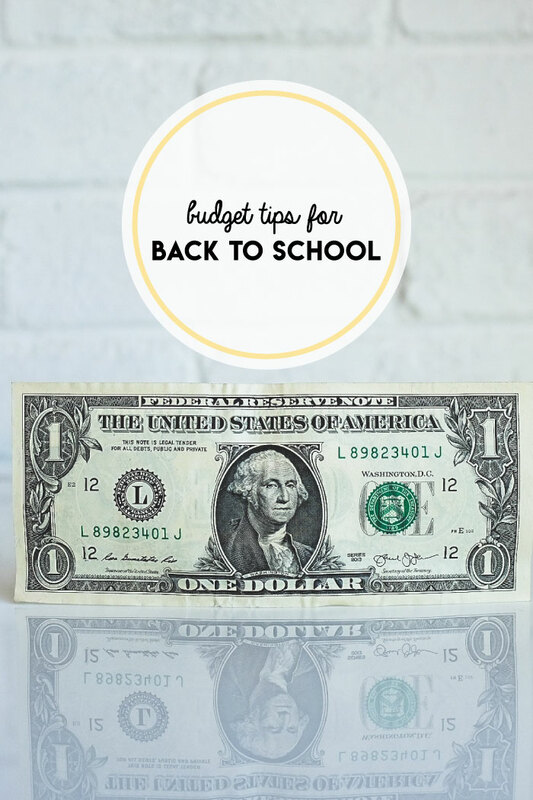 Today I wanted to share some of my favorite budget tips for back to school to help you get organized while not breaking the bank. Feel free to share your ideas in the comments too! Whether it's school supplies, fall clothing needs, or snacks, start by making lists to keep you focused on the tasks at hand and to avoid over-shopping and impulse buying. Before you buy your school supplies, send your kids on a scavenger hunt at home! I've done this every single year since Laurel started kindergarten and it's a great way to get organized while saving yourself from buying things you don't need (seriously, why do we have 1,827 unsharpened #2 pencils kicking around?). Once you know what you actually need for school supplies, buy in bulk, either using excess supplies for your home/office stash or in tandem with other parent friends. Same goes for snack items. Save money on school lunch + packaging waste by using a reusable lunchbox system. I'm a big fan of EasyLunchboxes because it's just two pieces (no need to wash a bunch of little containers) and there are three compartments to keep it super simple! One potential area for high spending is fall clothing, especially if you discover that your kids have grown a ton and nothing from last fall fits! Look out for back to school sales and stock up on other fall basics when the big discounts hit. I typically wait to pull the trigger at 30% and up discounts! Another couple of great alternatives include off-price shopping and also consignment. 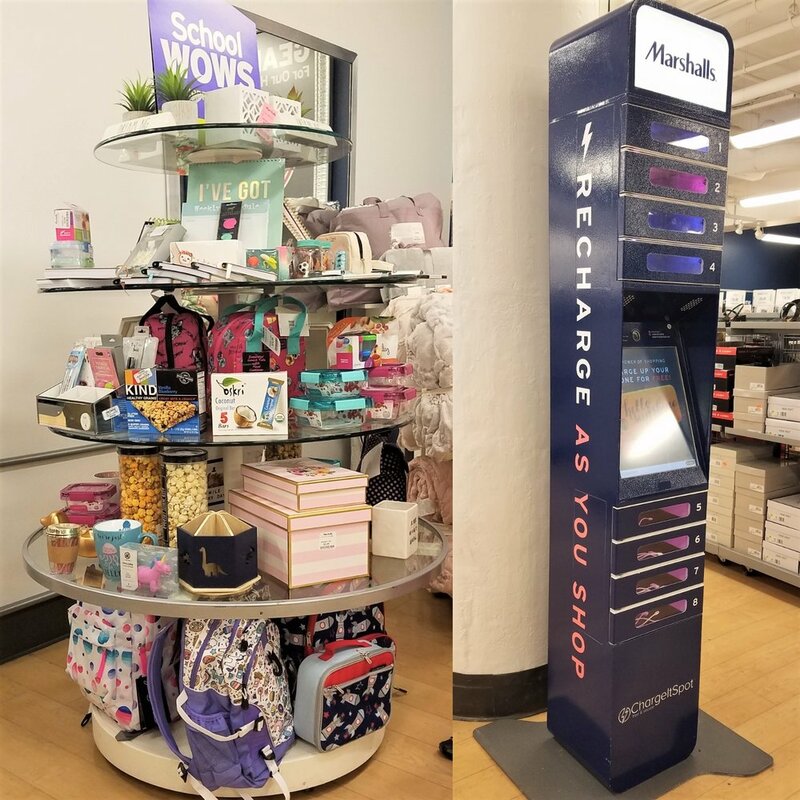 Re: off-price shopping, I was just at the Fenway Marshalls for an event last week and they had TONS of back to school deals for clothes, gear, supplies, decor, and even snacks. They also had a super cool phone charging robot (perfect for getting everyone to unplug so you can focus on shopping together)! And re: consignment, I've been loving thredUP for wardrobe refreshing (often times I get items that are new with tags!) and they have kids' clothing too. So many cute back-to-school finds at Marshalls. Plus, how cool is this phone robot?! I love swapping! We have a very active swap recycling system for clothing, books, and gear with family and friends. Don't be shy about asking friends and family about swapping; people are usually thrilled to participate. Do you have other great back-to-school budget tips? Feel free to share in the comments! Keep back-to-school spending under control with these 6 tips!